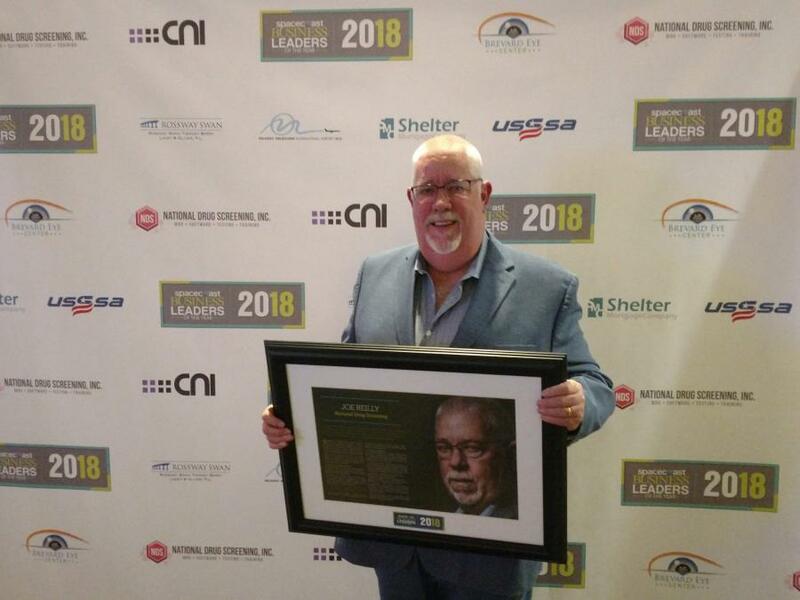 Issued by National Drug Screening, Inc.
On 12/5/2018 Joe Reilly was honored as a Business Leader of the Year by Space Coast Business magazine, a trusted voice for the Florida business community. 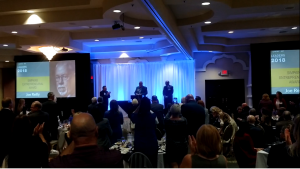 MELBOURNE, FLORIDA, UNITED STATES, December 6, 2018 /EINPresswire.com/ -- Drug testing industry veteran, Joe Reilly, President of National Drug Screening, was honored on December 5, 2018 as a Business Leader of the Year by Space Coast Business magazine, a trusted voice for the Brevard County, Florida thriving business community. Joe was delighted to receive the Simpkins Entrepreneurial Award spotlighting his business passion, skills development, leveraging of experience and opportunistic thinking. 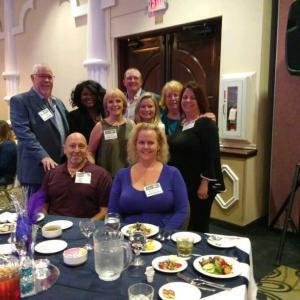 This month Reilly celebrates 25 years in the drug & alcohol testing industry. •	In 2004 appointed by James McDonough, State of Florida, Governor’s Office of Drug Control to serve on the Drug Free Workplace task force. •	2003 – 2005 – Provided oversight, training and auditing for urine specimen collections for Major League Baseball and Minor League Baseball drug testing and steroid testing national programs. •	National course instructor for DATIA industry training courses – In’s & Outs of Drug Testing, Reasonable Suspicion Supervisor Training, Designated Employer Representative (DER) training and DOT urine specimen collector training. Joe also served 2004 to 2008 as the Chairman of the Board of Directors of the Drug & Alcohol Testing Industry Association (DATIA) – the national trade organization for the drug testing industry. Based in Washington, DC; the Drug and Alcohol Testing Industry Association (DATIA) was founded in 1995 and represents the entire spectrum of drug and alcohol service providers including collection sites, laboratories, consortiums/TPAs, MROs, and testing equipment manufacturers. DATIA has over 1500 members nationwide and ensures that the industry's voice is heard by key policymakers in Congress and Federal Agencies.